All across both the Grand Line and the New World crews assemble to seek out the the lost riches of Gold E Rogers, the famous Pirate King, his famed “One Piece” that if discovered will make the lucky finder the new Pirate King. The game is based on a popular manga animation/comic by the same name and follows the unlikely protagonist Luffy and his motley crew of Straw Hat Pirates in their search. Stepping off the ship players will work with Luffy and a number of other well-known characters from the comics/show in their exciting adventures. OnePiece Online can be played for free and has strategic RPG combat elements and can be played on a variety of platforms through a web browser. The first thing every player must do is choose their initial class, with three unique characters that players can select they can choose from the Sniper; a skilled marksman and he has a keen eye with his gun, the Devil Fruit User girl that can conjure magic and has powerful pet sidekicks to help her in battle, or the female Swordsman that uses her blade and mastery to overcome her opponents. Every class has dominance over another of the classes, but in turn is weak against the other: the Sniper can defeat the Devil Fruit User, that can defeat the Swordsman, who is able to take down the Sniper. These types of quests that players receive are the same for each class however with their own strengths and weaknesses players will have two choose the kinds of NPC Partners that they recruit to their party’s to account for their own classes shortfalls. Partners make up the powerful companions that will assist players in battle and follow them around the world on their adventures, they are the criminal Pirate element that can be recruited from the Bounty board in the Tavern feature. Either by using a Vivre Card or by spending game coins players will be able to randomly acquire a potential Partner, each with personal stats and often unique abilities, if players spend more currency it increases the chances of getting a higher ranked Partner. If a Partner’s name is in Purple, Red or Gold then they will have their own skills and attacks to use as well as powerful AOE abilities. A Partner with a Blue name does not have their own abilities but if paired up with the another named Partner in a formation or treasure item then they will unlock their Fate skills. Partners are primarily used in combat either in the PvE quests where players are tasked with defending their own flag from the enemy that is trying to destroy it, which allows them to earn great deal of items and XP to help them progress. 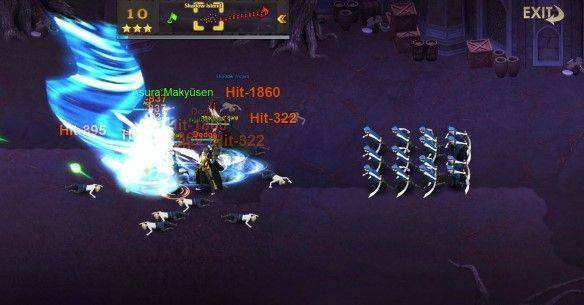 Alternatively players can get involved in the exciting PVP endgame content where players will compete against each other in the Arena using their strategy and acquired Partners.